MomsRising is not just on your computer screen, not just in your neighborhood, and not just at the capitol ... we're also on TV talking about paid family and medical leave, marching with you in North Carolina, dancing together for early education, and SO MUCH more. We've selected a few of our favorite TV videos to highlight the on-the-ground and online movement that we are building together. Enjoy! One of the biggest challenges for working parents is the juggle between family and the job. 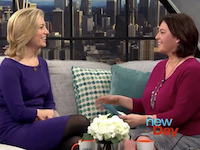 Kristin Rowe-Finkbeiner discusses the Women's March and MomsRising's policy priorities with the host of New Day Northwest on Seattle's King 5. 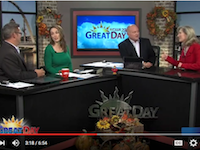 Kristin Rowe-Finkbeiner talks with the hosts of Great Day on KCWI in Iowa about MomsRising, the challenges moms face, and the importance of protecting working families. 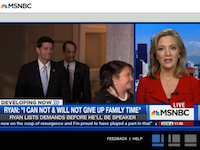 Kristin Rowe-Finkbeiner of MomsRising.org joins MSNBC's Thomas Roberts on Rep. Paul Ryan’s stated need for “family time” if he becomes House Speaker, and the policy needs of many American families. 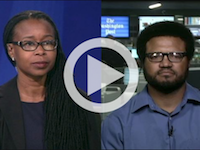 Errol Louis spoke with MomsRising's Monifa Bandele, and Washington Post reporter Clarence Williams about Freddie Gray's death and the unrest in Baltimore on News1NY. 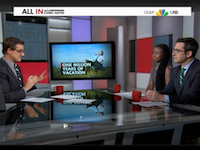 MomsRising Senior Campaign Director Monifa Bandele talks about about working moms and work-life balance policies with Chris Hayes on MSNBC. MomsRising.org CEO, Kristin Rowe-Finkbeiner, on the "Game Changing Moms" segment of the Katie Couric Show talks about what you can do to make a difference. 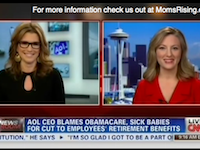 MomsRising's CEO/Executive Director, Kristin Rowe-Finkbeiner, was live on CNN talking about the CEO of AOL who blamed cutting all employees' 401K plans on two moms with sick babies and on Obamacare. 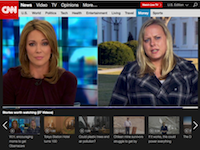 MomsRising co-founder and Executive Director Kristin Rowe-Finkbeiner joins MSNBC's Chris Jansing to discuss a new study about the gender pay gap. North Carolina, That is Not OK! 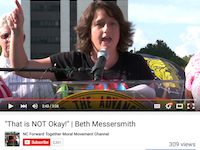 Beth Messersmith of MomsRising North Carolina, addresses thousands gathered at the N. C. General Assembly during a Moral Monday rally. 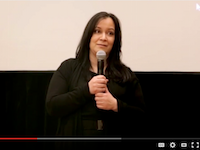 Video clips from Food Power: a MomsRising Gathering & Bloggers Conference to Reverse Childhood Obesity, including MomsRising staff and leaders sharing personal stories and strategies for change. The conference also featured a warm welcome from the First Lady of the United States.